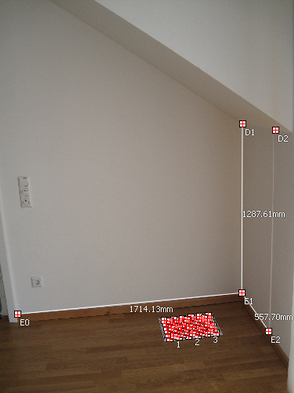 Xsigno is an entry solution to 3D coordinate measurement for architecture, interior design and planning. We provide a close-range photogrammetry software for the measurement, visualization and documentation using digital photography. Turn your camera into a versatile measurement tool for measuring distances, slopes and angles and forward your measurement results by email as 3D document. Photogrammetry is a technique for measuring spatial objects by taking pictures from several views. The principle is a method of nature, the different viewpoints of our eyes allow us to estimate sizes and distances. Please have a look at the product description. A screenshot and a flash tutorial are provided in the support area. A evaluation version to get you started is available on the download page.